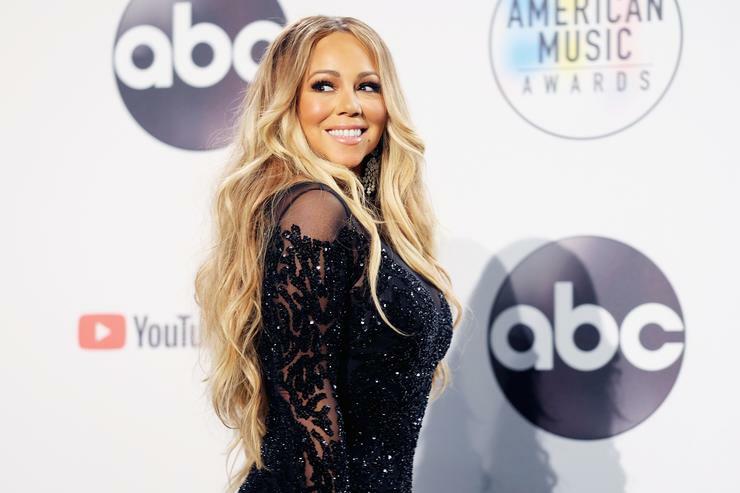 Home » entertainment » Slide » Mariah Carey Announces Release Date For New Album "Caution"
Last month, Mariah Carey started to release new music again, dropping the "GTFO" single and a sultry video a few days later. She returned at the beginning of this month with a brand new single produced by Mustard, titled "With You." The legendary songstress has been making some noise with those two singular tracks, prompting many to believe that she was gearing up to release the next addition to her discography. As we would learn today, speculation was correct as Mimi has just announced that she is dropping her new album next month, helped out by her son in a cute video. Moroccan is getting the assist on this one as he announced the official release date but Mariah Carey came through with a major reveal today, telling everybody about her upcoming album. The star's fifteenth studio album will be titled Caution and it is expected to drop on November 16. Carey tweeted out the news as she made her way down the stairs with her son Moroccan, telling the world the name of her new album and leaving her child the honor of announcing the rest. Caution will act as the follow-up to 2014's Me. I Am Mariah... The Elusive Chanteuse. If you haven't heard her two new singles yet, listen to "With You" here and "GTFO" here.